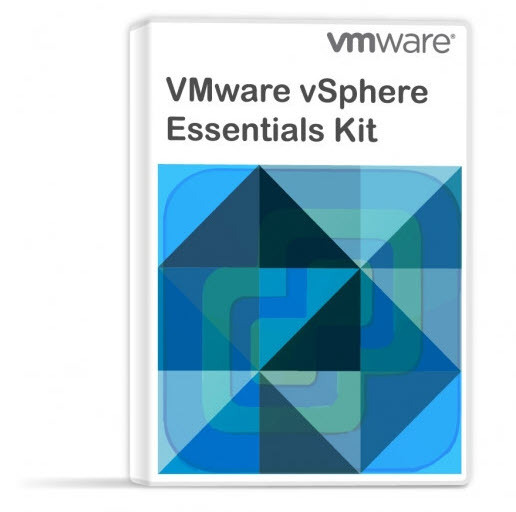 Over the time, there has been quite a large choice of free books about VMware NSX products. In this post, we’ll try to details them and provide download links. Those books were reviewed by VMware and published under VMware Press. 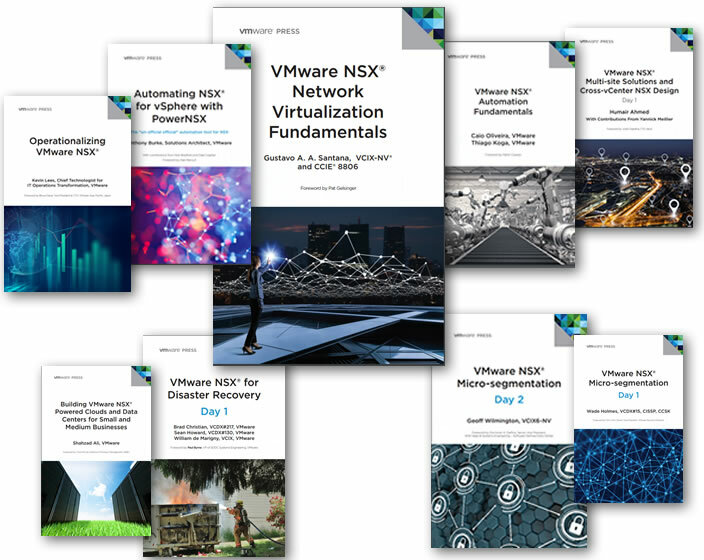 So let’s have a look at VMware NSX – Top 9 Free Books To Read. VMware NSX has two product lines. NSX and NSX-T. Where NSX is tailored for environments running VMware vSphere, NSX-T is designed for multi-hypervisor environments. NSX-V is part of a software-defined data center and it needs VMware vCenter server as it’s tightly integrated into. The latest release of NSX-T has introduced Geneve protocol to create tunnels across transport nodes, and that’s where the overlay traffic flows. NSX-V on the other hands continues to use VXLAN. Now let’s get back to our Free E-books collection. This collection is no means to be exhausting. There might be other free books or guides about NSX, but I think this is pretty huge already to get started with -:). Automating NSX for vSphere with PowerNSX – PowerNSX is a PowerShell module that abstracts VMware NSX for vSphere API to a set of easily used PowerShell functions. This Guide will teach you what PowerNSX is, as well as the flexibility and control that it brings. It will also provide an overview of PowerNSX architecture and functionality, then cover PowerNSX usage. Download the PDF Book here. Operationalizing VMware NSX – Operationalizing VMware NSX offers insight into optimizing the ongoing operations of NSX DC. Kevin Lees covers both tactical optimizations – such as tooling for monitoring and troubleshooting, and strategic organization – including team structure, culture, roles, responsibilities, and skillsets. NSX has helped over a thousand organizations improve their software-defined data center by fundamentally changing the way they approach network and security architecture. You will find proven recommendations to enhance the way you organize and operate your environment, unlocking its full potential to provide the flexibility and agility your business requires. Download the PDF Book here. VMware NSX Micro-segmentation: Day 1 Guide – VMware NSX Micro-segmentation: Day 1 provides insights and recommendations proven to move an organization from a perimeter-centric security posture to a micro-segmented architecture with enhanced security and visibility. NSX DC enables granular firewalling and security policy enforcement for each workload, independent of network topology and complexity. Wade Holmes explains how to effectively plan, design, and implement a data center security strategy based around micro-segmentation. Download the PDF Book here. VMware NSX Micro-segmentation: Day 2 Guide – Geoff Wilmington published this day 2 operations guide. Geoff provides the knowledge needed to begin building scalable methodology and planning for the applications you are going to secure. With step-by-step processes for using tools and products including VMware Log Insight, Application Rule Manager, and vRealize Network Insight, you will be armed with practical information so that planning micro-segmentation for thousands of applications is no longer an overwhelming task. Download the PDF Book here. Building VMware NSX Powered Clouds and Data Centers for Small and Medium Businesses – details how the NSX Data Center platform will allow you to redesign your data center and build and run private clouds. NSX DC also serves as the integration point between the private and public clouds with offerings such as VMware Cloud on AWS. Shahzad Ali gives readers the tools and techniques required to transform legacy architecture into a software-defined cloud-based architecture. Download the PDF Book here. VMware NSX for Disaster Recovery: Day 1 (New release) – VMware NSX for Disaster Recovery: Day 1 offers the knowledge and guidance for planning, designing, and implementing a disaster recovery architecture for your software-defined data center. VMware NSX Data Center simplifies the DR planning and testing that is required for a resilient infrastructure and drastically reduces the time it takes to recover from an event. It enables true workload portability between data centers, private clouds, or public clouds. NSX Data Center has helped enterprises recover from natural disasters and outages as well as simplified the mergers and acquisitions of organizations and their networks. Download the PDF Book here. VMware NSX Multi-site Solutions and Cross-vCenter NSX Design: Day 1 Guide – The authors walk through multi-site and its traditional challenges, and discuss some of the short-comings of traditional multi-site solutions, compare different multi-site solutions provided by VMware NSX Data Center, discuss the advantages of NSX and how it can be used for different use-cases, and go into detail on Cross-vCenter NSX for multi-site solutions. Download the PDF Book here. VMware NSX Network Virtualization Fundamentals (New release) – During their digital transformation process, many IT organizations still struggle with traditional networking methods and security approaches. By successfully addressing these challenges in thousands of real-world implementations, VMware NSX Data Center has established itself as the leading network virtualization platform, revolutionizing the way data center networks are designed and operated. In this book, Gustavo Santana examines the specific circumstances that created such challenges and explains how NSX Data Center overcomes them. Download the PDF Book here. VMware NSX Automation Fundamentals Guide (New release) – VMware NSX Automation Fundamentals delivers the roadmap to understanding networking and security automation challenges in today’s data centers. It explains the fundamental nature of VMware NSX Data Center architecture while detailing integrated solutions for both VMware and third-party offerings (such as VMware vRealize Automation, OpenStack, Puppet, Chef, PowerNSX) that assist in creating networking and security components on-demand. Download the PDF Book here. thanks a lot, your site is always a great help and resource!